The Golden Eagle (Aquila chrysaetos) is one of the most magnificent birds of prey in the British Isles and is one of two of britains resident eagles, the other being the White-tailed Sea Eagle (Haliaeetus albicilla). The Golden eagle is the smaller of the two eagles, however, it has a much greater distribution across the British Isles, particularly in the Scottish highlands, due to the white tailed eagles recent re-introduction after the last bird was shot in 1917. The Isle of Mull in Scotland is a perfect place to observe these elegant birds of prey as well as a few pairs of white tailed sea eagles. Mulls vast valleys and soaring peaks provide channels through which the birds hunt and glide, making sightings a regular occurrence. 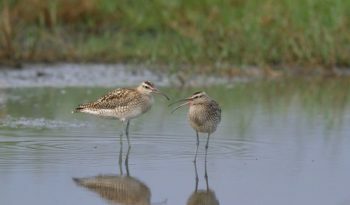 There are around 450 breeding pairs resident in Scotland and they are still on the increase. There are six living subspecies of Golden Eagle that differ slightly in size and plumage. 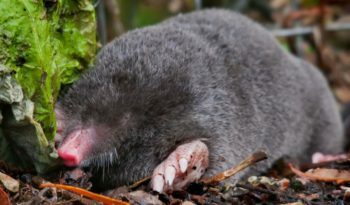 They can be found in different parts of the world. The Golden eagle has a wing span of between 180 – 220 centimetres and can weigh up to a hefty 5 kilograms. As with many Falconiformes, females are considerably larger than males, in the case of the Golden Eagle they weigh one-fourth to one-third again as much as male birds. Their plumage colours range from black-brown to dark brown, with a striking golden-buff crown and nape, which give the bird its name. 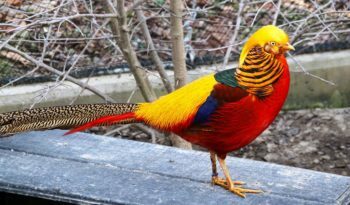 Their upper wings also have an irregular lighter area. Young Golden eagles resemble adults, however, they have a duller more mottled appearance. 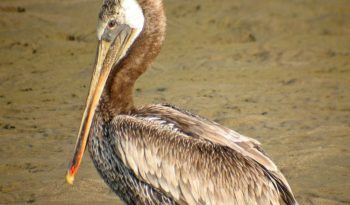 Also they have a white-banded tail and a white patch at the carpal joint, that gradually disappear with every molt until full adult plumage is reached in the fifth year. Golden eagles have a square shaped tail and legs that are fully covered in feathers. Golden eagles are not very vocal but they will sometimes emit a barking call or a twee-o cry. 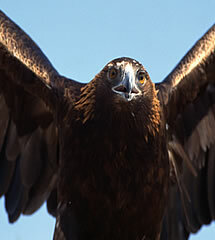 Golden eagles prefer mountainous, often treeless, habitats, although they require large trees or rock faces for nesting. The Golden Eagles beak is well suited to tear apart large prey. 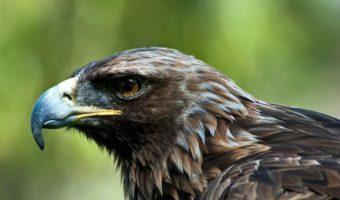 The Golden eagle eats a range of mammals such as rabbits, mice, marmots, hares, the odd injured or dead lamb or other similarly immobile larger prey, as well as other occasional animals and carrion (dead animal carcass). They will also eat foxes and young deer. During winter months when prey is scarce, Golden Eagles scavenge on carrion to supplement their diet. Sometimes when no carrion is available Golden eagles will hunt down owls, hawks, falcons and wolverines. Scotlands expanses of open ground provide perfect hunting territory for these birds, allowing for fast aerial approaches leaving the prey nowhere to run. Golden Eagles have very good eyesight and can spot prey from a long distance. Their talons are used for killing and carrying the prey, the beak is used only for eating. 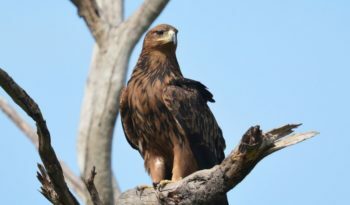 The Golden eagle is a majestic bird, often seen circling effortlessly for hours in summer thermals rising off the land. Some Golden eagles will often hunt in pairs, one bird will drive the prey towards a waiting partner. 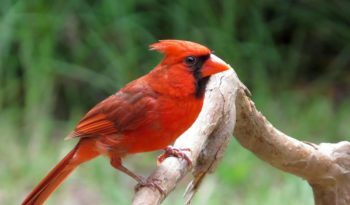 The size difference between males and females allows more unpaired birds to live off the land, helpful to maintain a sufficiently large population in this large and slowly-maturing bird. Golden eagles mate for life, staying within a very large territory every year, Often moving between different nests (Eyries) each year to bring up their young. They build several eyries within their territory and use them alternately for several years. These nests consist of heavy tree branches, upholstered with grass when in use. Old eyries may be 2 metres (6.6 feet) in diameter and 1 metre (3.3 feet) in height, as the eagles repair their nests whenever necessary and enlarge them during each use. If the eyrie is situated on a tree, supporting tree branches may break because of the weight of the nest. 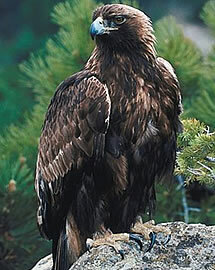 Female Golden eagles usually lay two black eggs in late winter or early spring. The adult Golden eagles start incubation immediately after the first egg is laid, the eggs hatch after 45 – 50 days. Nine times out of ten only one chick survives to leave the nest, occasionally, good hunting years lead to both birds surviving. After another couple of months the young eagles are ready to leave the eyrie and take their first flights. Golden Eagles invest much time and effort in bringing up their young. Once able to hunt on their own, most Golden Eagles survive many years. These young eagles are often mistaken for buzzards because of their similar size and markings. The life span of the Golden Eagle is as much as 30 years although around 20 years is normal for a wild Golden Eagle. Available habitat and food are the main limiting factor nowadays. Collisions with power lines have become an increasingly significant cause of mortality since the early 20th century. On a global scale, the Golden Eagle is not considered threatened by the IUCN.